The iPhone has become the camcorder-replacement for plenty of family videographers. But it can do a lot more than record soccer games and birthday parties. There are plenty of serious filmmakers out there using the little smartphone to create more cinematically ambitious works, too. 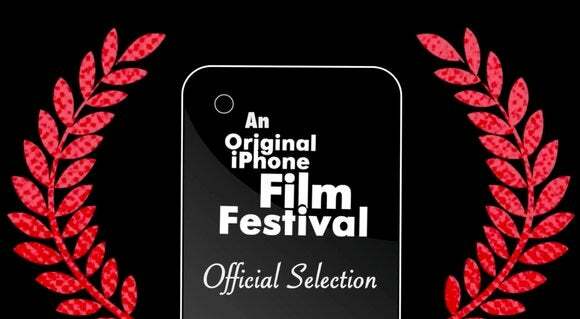 To get an idea of the iPhone's creative possibilities, consider the Original iPhone Film Festival. It invites people to submit videos in four categories: Fiction, Non-Fiction, Music Video or (new this year) Student Directors. The only requirements are that those videos must be shot on an Apple iOS device: iPhone, iPad, or iPod Touch. You can edit the footage using whatever app on whatever platform you wish. All films must be less than five minutes long. They can be submitted via the contest’s Enter page by 11:59 EST on November 30, 2014. Submissions will be judged by a panel of experts (including an editor from Macworld), as well as by online viewers. (We’ll post this year’s finalists on Macworld.com when they're announced later this year; they’ll also be available on the OIFF website, of course.) Winners will be announced in January 2015. To give you an idea of what’s possible, check out some of the finalists from the inaugural festival in 2012.